Khalsa Girls team which is through to the finals. Image sourced from ICBL Facebook page. Mumbai, November 15, 2014: Jhunjhunwala College continued its good run of form as the men’s team entered the final of the Indian College Basketball League organized by Basketball Federation of India (BFI) in collaboration with IMG Reliance (IMG-R) at Indian Gymkhana today. They completed a comprehensive victory over MMK College with a final score of 80-70. They will take on Podar College in the finals tomorrow. Sanket was the highest scorer for Jhunjhunwala College with a total of 25, whereas Saif scored 20 points for MMK College. Podar College completed a hard fought victory over KC College to set up the final clash against Jhunjhunwala college. After trailing in the first quarter, Podar College made a strong comeback to win 67-58. Karthik Deodhar was the highest scorer for Podar college with 15 points and Nitin scored 14 points for KC College. Guru Dutt, coach, Podar college was satisfied with his sides performance and is looking forward to the final against Jhunjhunwala, who have beaten them in both their previous meetings. In the first women’s final, MMR College prevailed over Khalsa College in emphatic style with 41-12 victory and sealed their place in the finals against Podar College. Astha Tyagi was the highest socrer for MMR College with 10 points, whereas Sakshi scored all the 21 points for Khalsa College. In the second semifinal, Podar College beat SNDT college 35-15 to advance to the finals. 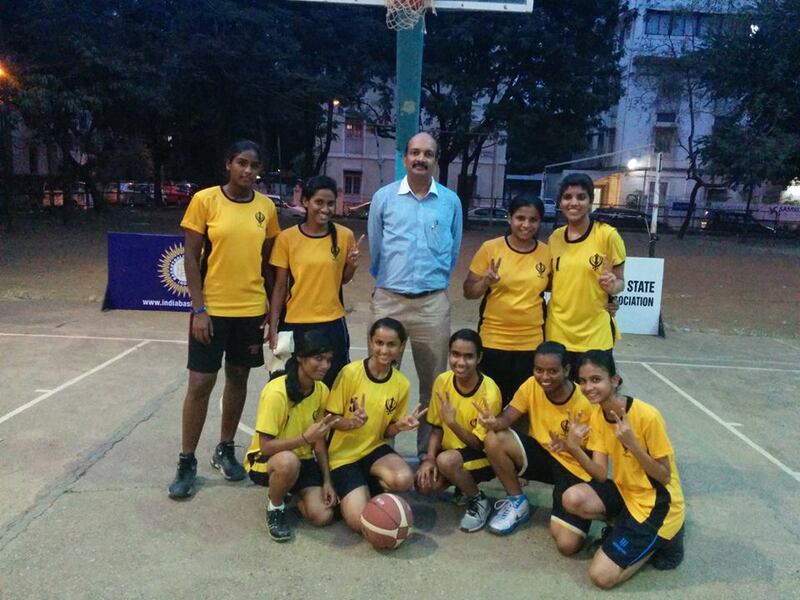 Ankita scored 12 for Podar college.